If you are selecting the “Team Captain Option”, you will be the point-of-contact for your current/future team. This “Team Captain” will be responsible for collecting payment for his/her perspective players 1 WEEK prior to the league start date. 2. All entries must be accompanied by the Team Entry Form and the team fee at the time of registration. 3. 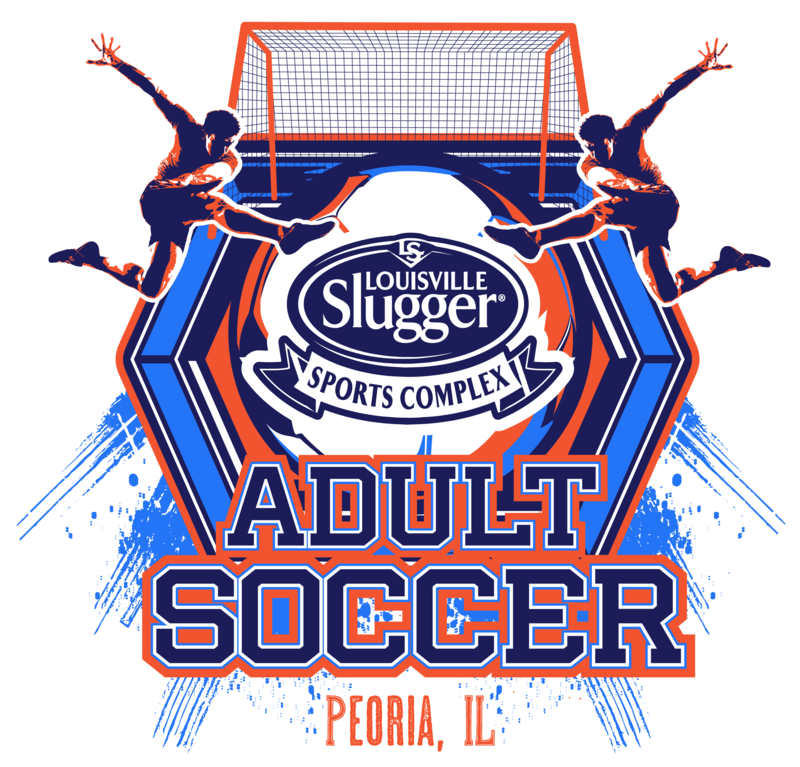 All checks should be made payable to Louisville Slugger Sports Complex. A $25.00 service charge will be assessed for a returned check. Any team having a returned check is subject to forfeiture of its league spot. 4. Registrations will be taken until leagues fill. 5. Beginning Sep 5 2017, Registrations will be taken online at www.sluggerpeoria.com. 6. The deadline to register is Oct 29. 2. Team fees can be paid by a sponsor, but may be paid by team members. 2. All team rosters must be submitted no later than Oct 29 2018. 3. Any player falsifying signatures or not listed on the roster will be considered illegal and may be suspended from further league play. In addition, the games in which the illegal player is listed on a team line-up will be forfeited by that team. Players should carry an I.D. Rosters may be checked throughout the season. 4. Any team that has illegal players is subject to forfeit game. There will be no manager’s meeting. All schedules and information will be emailed and posted to teams by Monday Oct 29. In case of inclement weather, it is the duty of the manager or team representative to contact the LSSC at 309-692-2255, our website at www.sluggerpeoria.com. It is the manager’s responsibility to in turn notify all team members. Any team failing to show up at game time will forfeit that game if the field supervisor rules the game can be played. Games will be postponed due to inclement weather only. Rescheduling will be at the discretion of the LSSC. Team rosters will be limited to 14 players, unless otherwise approved by the Athletics Department. New players may be added to the roster after season play has started, provided that the player has signed the roster for that team. All players must be added to the team roster and have their player sign the roster. Season will consist of an eight game schedule. 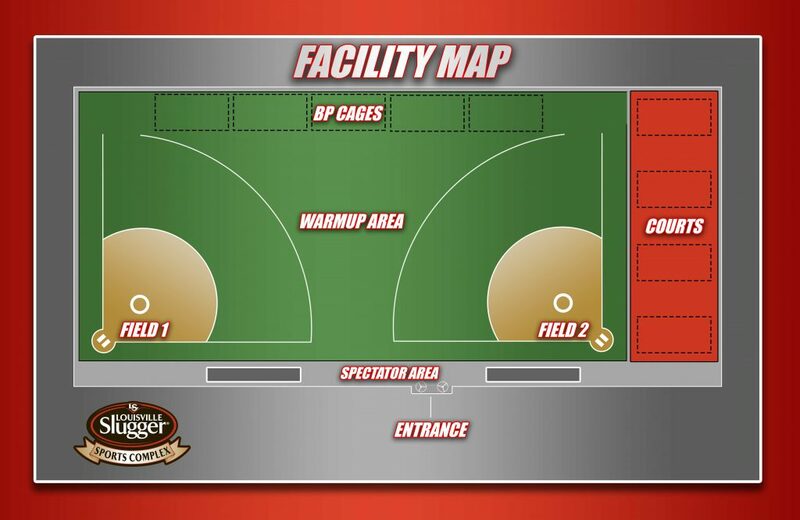 Co-rec games will be played Tuesday nights between 6:30pm and 7:30pm inside the Slugger Dome. A coin toss will be made prior to the start of the game. The team winning the toss will have choiceof side of the field to defend. Teams will switch sides of the field afterhalf-time. Each team cleans up/picks up the field and surrounding area after eachgame. Each manager will be held directly accountable for the conduct of his/her team and is responsible tosee that all program objectives and rules are observed. The manager must maintain complete control of himself/herself and team members at all times. Referees and their decisions will be respected and not interfered with at any time. Unsportsmanlike conduct or other serious violations will not be tolerated. The manager has many responsibilities. The key to a successful program is in the hands of the manager and in turn, his/her players. Good leadership will ensure a good program. No jewelry, hard cast, braces with exposed metal or any equipment that the referee deems dangerousto anyplayer. No touching or harassing the goalie. Penalty for infraction: 1st offense – verbal caution to player plus indirect kick to opposing team; 2nd and subsequent offenses – yellow card to player plus indirect The referee has the discretion to issue a red card ifwarranted. 7. There will be NO offsides in thisleague. The players substituting must be ready to come onto the field (no delaying the game while players remove their sweats, etc.) All teams must have at least two women on the field at all times. 12. Referee’s decisions will befinal. Below are the standard fouls in soccer. They are for your reference. Please read the FIFA “Laws” of the Game for the textbook descriptions. Please note that the fouls are interpreted by the referees and criteria such as intent, severity, etc., are applied by each referee on an individualbasis. Below are the five minor fouls. The penalty for committing any of these is an indirect kick by the opposing team. If any of these fouls occur in the opponent’s penalty area, it is still just an indirect kick (not a penalty kick). The referee signals an indirect kick by keeping his or her hand raised in the air until the ball is touched by a second player on the field (the “free kick” is called indirect meaning that a goal cannot be scored directly, the ball must be touched by a second player first). Obstruction – blocking an opponent from playing the ball when you are not attempting toplay the ball yourself. Dangerous play – playing in a manner considered dangerous by the referee (i.e. putting your foot too high next to a player that might cause an injury; you can also put your head too low next to a playerand be guilty of a dangerousplay). Below are the nine major fouls. The penalty for committing any of these is a direct kick by the opposing team. If any of these fouls occur in the opponent’s penalty area, a penalty kick is awarded to the opposing team. To make it easy to remember them, there are four by the hands, three by the body and two by the feet. Handling the ball (unless you are the goalie within the penaltyarea). Charging an opponent in a dangerous manner (e.g. at highspeeds). These definitions provide information and directions to participants regarding standards of behavior, as well as consequences of participant/team misconduct. Demonstrate courtesy, even when others do not. Behave in a responsible manner, always exercising self-discipline. Respect the rights and privileges of other participants and staff. Respect the property of others, including LSSC property and facilities. Cooperate with and assist the staff in maintaining safety, order, and responsible behavior. Being involved in any form of insubordination. Failure to conform to the LSSC rules. Use of profanity, vulgar language, or obscene gestures. Defacing and/or damaging LSSC property or the property of others. Engaging in inappropriate physical or verbal conduct. Running, pushing, shoving, littering, or throwing objects (which are not part of supervised activity). Producing loud, rude, or activity disruptive noises. Possession of illegal drugs, alcohol or weapons on or off the playing field. Be guilty of objectionable demonstration of dissent by throwing equipment or any other forceful action intended to intimidate. Discuss with an official, in any manner, the decision reached by an official, except the manager, coach or captain. Be guilty of an abusive verbal attack upon any individual on or off the playing field (excessive could fall into Category II or III). 4. Use profane, obscene or vulgar language/behavior, in any manner, at any time, on or off the playing field. Employ unnecessary rough tactics in the play of game (Intentional/flagrant could fall into Category II or III). Be involved in any trash talking on or off the playing field. Leave behind excessive trash on or off the playing field. Attempt to damage, destroy or steal LSSC property. Drink alcoholic beverages during their specific league or tournament game on the playing field or in the dugout. CATEGORY II Minimum Penalty:Ejection from current game and individual suspension (minimum 2 games) plus probation for current season. Maximum Penalty: Suspension from league(s) for current season & probation for the next season of play. Appear on the field of play, at any time, in an intoxicated condition or under the influence of any type of drug which will infringe upon the individual’s safety or the safety of others. Be guilty of an abusive verbal attack upon any official or LSSC on or off the playing field. Use excessive profane, obscene or vulgar language/behavior, in any manner, at any time, on or off the playing field. Directly or indirectly threaten another individual including officials and/or LSSC staff. (Assault charges may be filed). Play under another individual’s name, falsify name, or falsify address on an official roster form. Be guilty of damaging, destroying or stealing LSSC property. Be guilty of possessing a weapon on or off the playing field. Probation – Probation is considered to be a period of time in which said player or coach will be closely watched by league officials for the purpose of verifying an understanding of and compliance with the behavior management code. Season – A season will be considered the time between the first game and through the end of the playoffs. Any unsportsmanlike conduct, even if not mentioned above, will be addressed on a case by case basis. The LSSC reserves the right to extend probation/suspensions into the next season he/she participates in if the incident occurs late in any given season. Any player removed (ejected) from a game must leave the facility immediately and serve a one game suspension. Failure to do so may result in suspension for the remainder of the season and possible forfeiture of the game. A player cannot serve their suspension for any game that their team forfeits. If an ejected player refuses to leave the park in a timely manner the game will be forfeited by his team. If players on both teams are ejected and both refuse to leave the park in a timely manner the game will be ruled a double forfeit. Team penalties may be imposed if multiple individuals, from the same team, violate this code of conduct. Managers/coaches may also have penalties imposed on them for their team’s/player’s actions. Penalty notification shall be in writing.